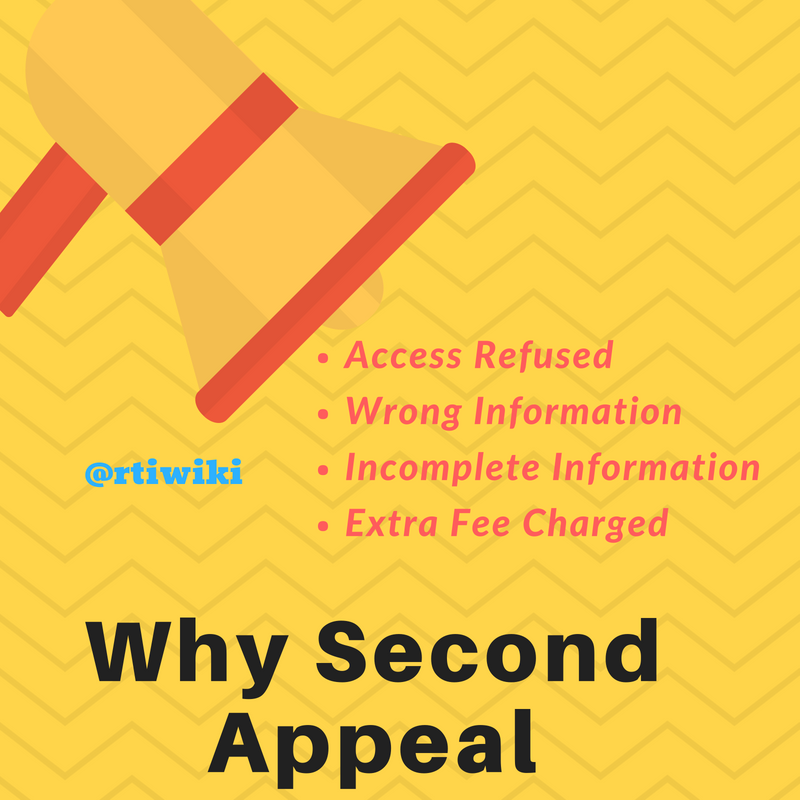 Anybody who is unhappy or dissatisfied with the decision of the Appellate Authority can file Second Appeal to the Information Commission at the Centre or respective States. 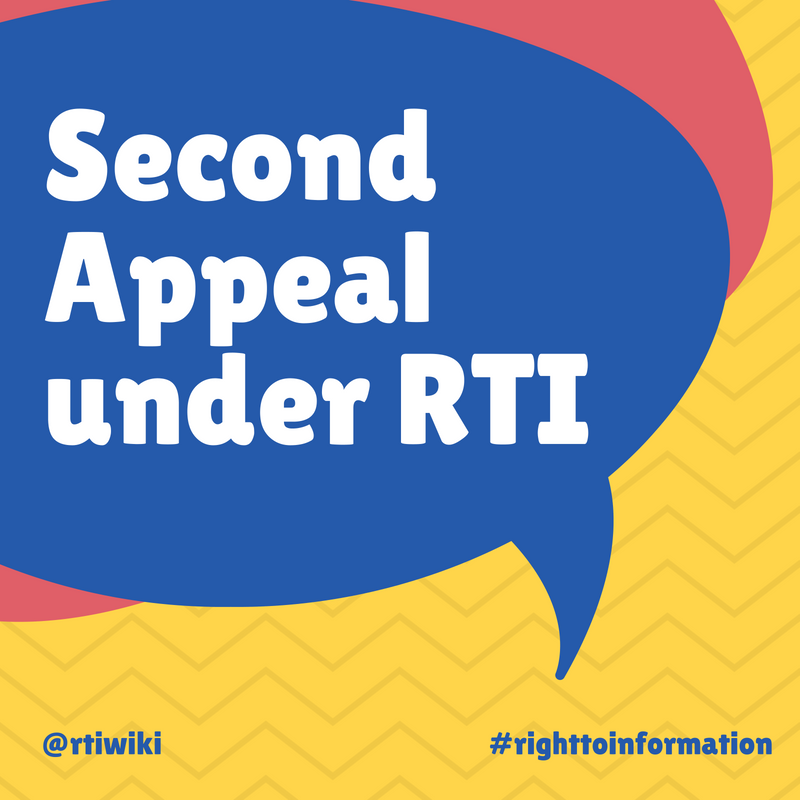 You need to send your appeal to the relevant Information Commission in writing. 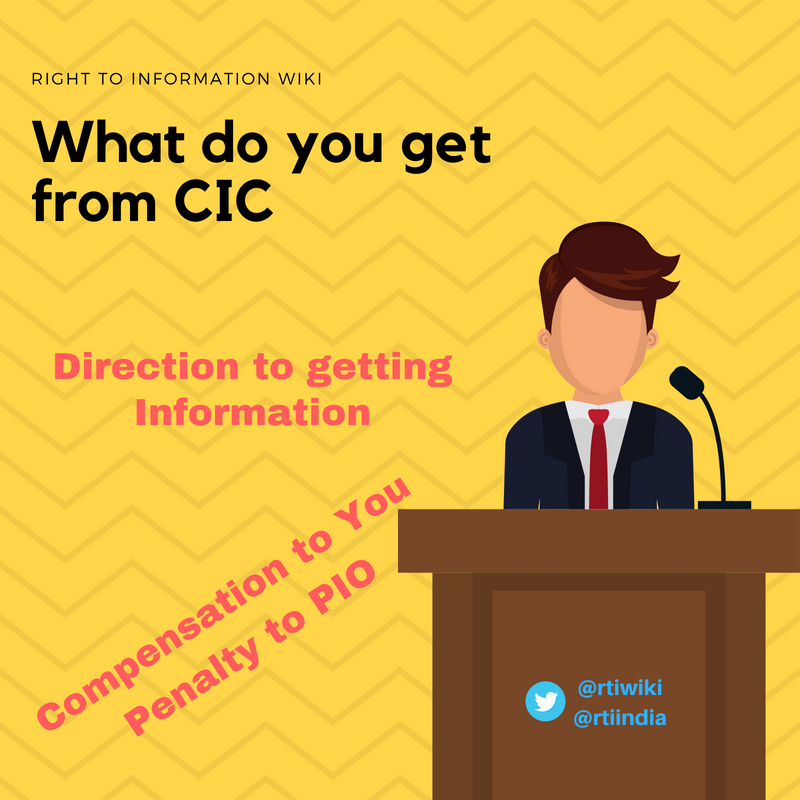 For issues related to Central Government public authorities, you need to send your appeal to the Central Information Commission. For matters related to State Government public authorities, send your appeal to concerned State Information Commission. Appeals against Panchayats should also be sent to the relevant State Information Commission. If the appellant is not satisfied with the decision of the first appellate authority, he should file a second appeal to the Information Commission within 90 days of the unsatisfactory decision. However, if the first appellate authority does not pass any order within the 30 day period it is a ‘deemed refusal’, and the appellant should file a second appeal within 90 days, i.e. within 120 days of filing the first appeal. 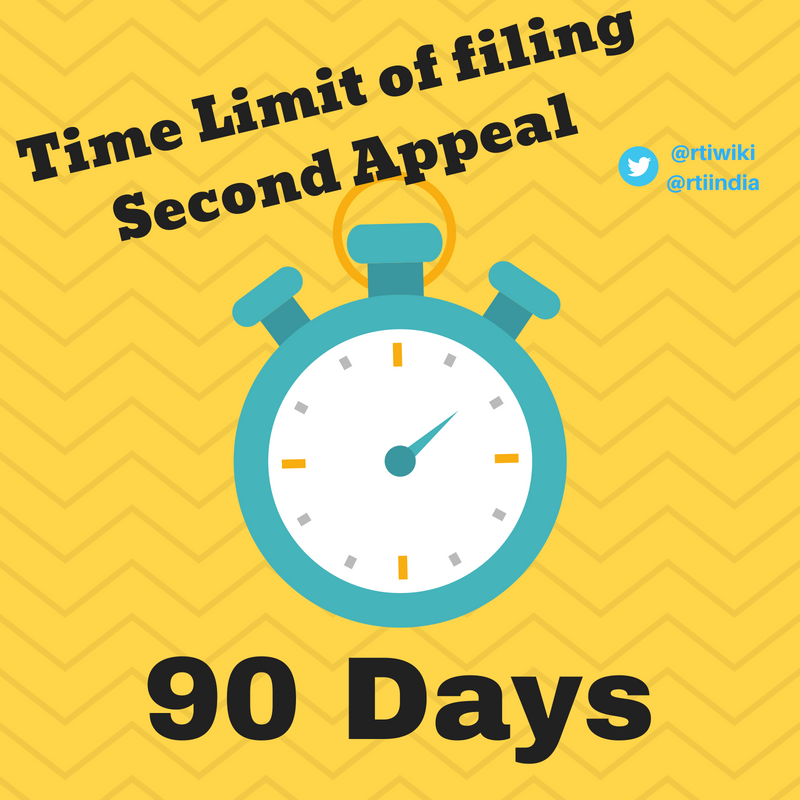 There is no time limit for disposal of seconds appeal. The first draft of this bill had a provision of forty-five days for disposal of second appeals by the Information Commissions, which was removed in the final draft. If Commissions do not deliver within a reasonable time of about 60 to 90 days, the law will lose its importance. The decisions of the Commissions are not merely recommendatory but have to be followed as per law and have statutory force. The Commission may reject the application if it comes to the conclusion that the information sought is not information or the body is not a public authority or the information is covered by the exemptions of Section 8 (1), and there is no larger public interest. It may also reject an appeal if it finds that the information has been provided by the PIO within the specified time.